The United Methodist Church of Evergreen is a part of the Rocky Mountain Conference of the United Methodist Church. To find out more about our conference, click here. As you read the story of The United Methodist Church of Evergreen you can see our mission reflected in its many developments of programs striving to reach out and provide for the needs of our local and global community. 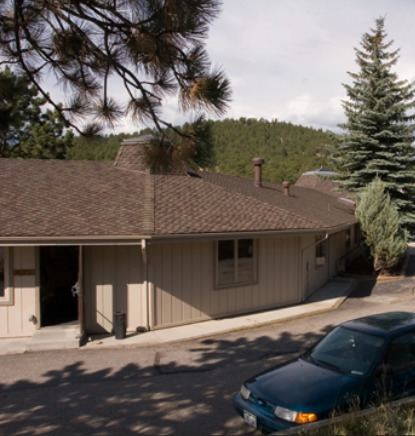 The United Methodist Church of Evergreen was formed and officially recognized as a congregation in the Rocky Mountain Conference of The United Methodist Church on August 1, 1971. In 1973 the United Methodist Church of Evergreen began constructing its own place of worship. The sanctuary was designed so that it can be adapted easily for multiple events such as meetings and concerts. Reflected in the round design of the sanctuary is the desire for our building space to meet the needs of the community, welcoming persons of all faiths and backgrounds to gather together. Over 25 years ago the Great Escape Preschool began under the leadership of Sharon Gobel. Currently under the leadership of Julie Cleminshaw, the Great Escape is a licensed non-profit program that offers education and care for children ranging in ages from 6 months to 5 years. Our church has expanded in space, members, and mission since its beginning over 40 years ago. We continue to dialogue about new ways our congregation can meet our denominational mission to open hearts, open doors, and open minds.